Modern technology is driven by power for the day to day business activities. An outage can cost the business heavily; to prevent downtime, it is important to keep the power up and running all the time. In a country where power outages are common, relying on grid power alone may not suffice; having backup power systems will ensure your business is free power inconveniences. A reliable power backup solution can handle all the power demands of technological appliances. There are dime a dozen choices when it comes to choosing the right UPS power system supplier. Being cautious can mitigate risks. Studies from IMS Research reveals that Uninterruptible Power Supply (UPS) is expected to increase all the time with the statistics sitting at $11 billion in 2011. This shows the dependency on power driven devices and appliances in our daily routine. Quality: Before selecting a UPS power supply system define your requirements. An underpowered or overpowered system can cause inconvenience. Do not take any chance. Check with your electrical contractor to locate a suitable system to drive your business. Never stop with just one provider, check with a few suppliers before finalizing on one. The more the options the better are the chances for you to get the right deal. Quality should be the first priority, choose only products that promise results. Cost: While buying any product, the first thing that comes to mind is cost. Your choice is restricted to the budget you have in mind. Do not overspend on a product you can get for a lesser price. 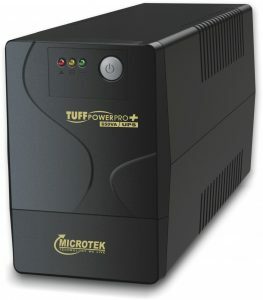 Research and compare prices before getting the best deal for the UPS system. The aim of any business is to make a profit in the deal by cutting down on cost. License: While investing in a power backup system never choose substandard products. If you are planning to save money by buying poor quality products ultimately you will end up spending more than it is due in terms of maintenances and repairs, until you finally replace the UPS system. Buy only from authorized and licensed online ups manufacturers in Chennai, who follow best practices. Reputed companies will handle service issues leaving you free from downtime headaches. Technology: The power protection through intelligent UPS systems is the future. Enjoy flexible and high power density with latest Modular UPS systems. The system comes with options to add or remove capacities as and when required. It is the smarter and lighter solution that comes with low carbon footprints and space saving option. It is a premium power backup solution. Choose the right supplier to provide modular format UPS system. Best technology is guaranteed when you liaison with a supplier. Being an integral part of the design, the supplier helps to optimize the energy efficiency by reducing carbon footprints. Modular UPS technology is ergonomic and tying up with the supplier for saving on floor space as well as installation cost is a wise decision. Reliability: The UPS supplier has to provide the best of pre and post support services at all levels. Keeping in mind the reliability of the supplier, partner with them to get maximum support during installation and later. The UPS supplier should not follow the sell and leave approach but instead must provide value added services and support. Logistics: The supplier should have a strong logistic system in place. All prime and ancillary products should have a backup to meet the customers demand. Moreover, the supplier needs to have a logistic plan in place. Always check the ability to interface with other equipment. Recommendations on site related work has to be provided by the supplier. Deadlines: All projects come with a deadline and it is the responsibility of the supplier to supply and install the project within strict timelines. Ensure the supplier is not cutting corners to provide you with the best price. This could mean you are compromising on the power protection for your future projects. Do not rely on cheap supplier solutions, although it is tempting, it can lead to problems in the long run. Understand the cost benefit analysis and get the best price from the supplier for a reliable product that does not compromise on the technology, budget and compliance specifications. We purchased UPS from Nantech for most of our systems and they are all working as expected. Their after sales service is exceptional and was the primary reason why we did not have any inhibitions in taking an AMC with them. Keep up the good work!